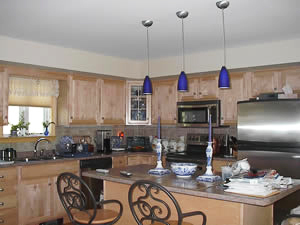 At CRM Modular Homes, Inc. we offer homeowners a better way to build their new home. Through modular building systems, homeowners are discovering improved efficiencies, greater flexibility, enhanced construction quality and building speed while enjoying greater cost controls. Modular homes offer many advantages over conventional “stick-built” homes, including high-quality construction techniques, products and materials, lower cost, and a faster completion time. You can select from our standard Cape, Ranch, 2 Story and Multiple Dwelling plans, but if you don’t see just what you’re looking for, don’t hesitate to contact us! There are many ways to customize plans and we will help you decide on the right modular home design for your family’s needs and budget. 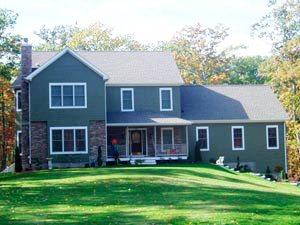 Our goal is to provide the highest quality service and value to our clients throughout the modular home building process. Call today! of a home built at a home show in Rhode Island.